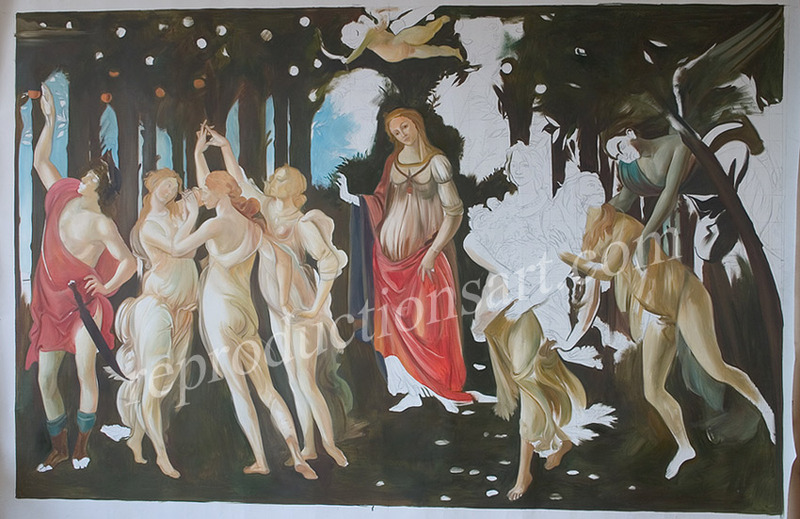 The painter will use the pencil, until he gives the oil painting the contours, which will at a later stage be used to distinguish the subjects , then he will apply the paint .A lot of time was needed until the painter achieved a clear outline composition for the " Primavera ". This Botticelli painting is best known for it's complexity and lots of details. The basic colors will cover the best part of the canvas.